Announcement Check out our New designs!!! 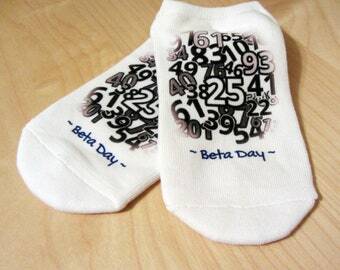 "Stick embie stick" and "My lucky socks" in white no show and IVF Jackpot now available in Men's size on White No Show socks! Check out our New designs!!! Great Quality and amazing turn around time! 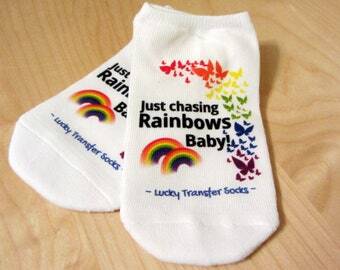 They are so cute and soft!! Fast shipping!! I love them. I want to wear them all the time. Built by a loving surrogate. 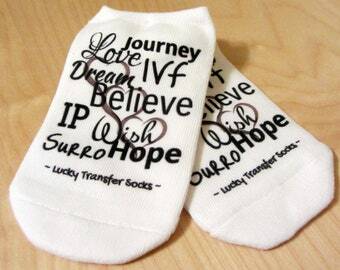 I have seen infertility and the toll it takes on relationships, hearts and your souls. 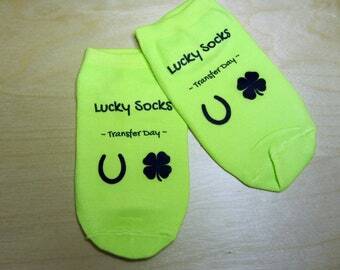 I'd like to ease the pain as much as I can and provide you with hope and luck with my inspirational designs. 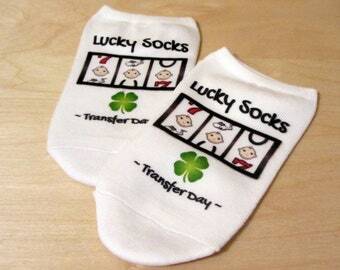 These lucky fertility socks will be with you for your journey for egg retrieval, transfer, beta and delivery day!